ULTRA4 Racing is the official web site of Hammerking Productions. The founders of Hammerking are the force behind the toughest one-day off-road race on the planet: King of The Hammers. King of The Hammers takes place each year in February, on public lands in Johnson Valley, CA. The race has evolved from 12 teams racing for bragging rights and a case of beer, to more than 300 teams competing before more than 35,000 fans in person and nearly 500,000 watching online. 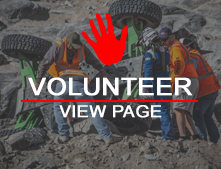 Due to the incredible success of King of the Hammers, Hammerking has created an ULTRA4 Racing Series with seven races held throughout the country. Each of these races is a qualifier for the King of The Hammers race each year. In addition to these races, Hammerking has established a racing class known as the ULTRA4 class. The defining characteristic of this class is that all cars must be capable of 4-wheel drive. Beyond that, the class is unlimited. These cars come in all shapes and sizes and are capable of speeds over 100+ MPH and still contain gear ratios as low as 100 to 1 for technical rock crawling. To give these cars and their drivers a chance to showcase their unique capabilities, Hammerking has formed the ULTRA4 Racing series. The series challenges drivers to compete in a wide variety of terrain from endurance desert racing to competition-style rock crawls to short course racing. Hammerking currently produces seven races in the series. Currently ULTRA4 has 8 races in the US, 4 races in Europe, 1 race in Australia, and an exhibition in China. These races take place on both public lands and in private property around the world. Hammerking Productions has also produced 8 full-length feature films chronicling King of the Hammers races. We manage our own live production which is seen every year by millions of followers online. These award winning movies have helped shine a spotlight on this new form of racing throughout the world. If you would like to know more about Hammerking, ULTRA4, the races produced and/or the movies created, please visit our Contact page and feel free to reach out to the person most suited to assist you with your inquiry.